The continued absence of a formal, standardized structure to learning for channel business professionals is both surprising and troubling, says the director of the Channel Institute, a global channel business training organization. 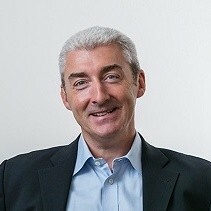 Michael Kelly, director of the Channel Institute, says there’s a lot of “churn and burn” in the channel partner community. Since 2018, hundreds of people in various channel roles have taken at least one of the institute’s courses and examinations. The organization currently offers four courses: channel sales, channel marketing, digital co-marketing, and channel management. Each one is broken up into several modules and capped off with an examination. Kelly says the channel management course is the most popular, and is the one he personally recommends to an employer that can only afford one for an employee. Each course costs approximately $2,000 and is reviewed and validated by the Industry Advisory Council, comprised of more than 20 senior channel management leaders from major vendors such as Oracle, Cisco, Dell, and Microsoft. One of the most attractive elements of the entire program is the fact that it’s 100 per cent digital and can be accessed 24/7. Maggie Thornton, channel manager for Toronto’s Omnivex, a digital communications firm, has completed three of the institute’s courses and is about to start a fourth. 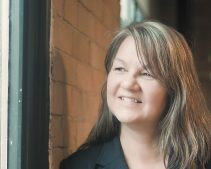 Thornton’s entire career has been in the channel, working for companies including Dell, Sony, Compuserve and Merisel, and while she’s well-versed when it comes to the business partner community, she says the institute’s courses offered her an opportunity to revisit those skills in a structured way. Maggie Thornton, channel manager for Omnivex, says shes always on the look out for additional channel training. Thornton educates her own team about channel with what she describes as a self-made channel playbook that outlines best practices and important talking points with customers. That playbook is now enhanced by the training she’s received from the Channel Institute. One of the biggest challenges, she says, is understanding the different ways partners do business and the problems each of them are trying to solve. Learning how to approach each situation is a significant challenge for sales teams that are used to the usual sales pitch and spec sheet drop off. It’s a challenge for vendors, too. But this kind of education brings the channel community closer together and improves business for everyone. “I would love for a community to come out of this,” she says. Correction: A previous version of this story said that “dozens” of people working in the channel have completed some of the training. In actuality, hundreds have completed the training worldwide. The term dozen was referring to the number of participants in certain countries. CDN apologizes for the error.